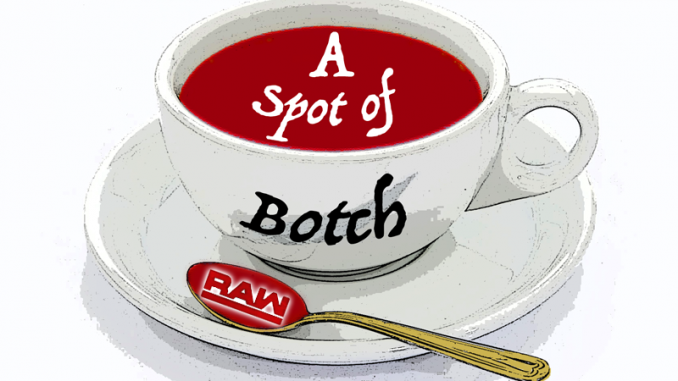 Hey, kids, it’s the Baron of all things Botch again with another edition of “The Spot”. It’s nice to be writing about “Monday Night Raw” again. If you’re wondering what happened to last week’s edition of “The Spot”, just take a look (here). In short, it was so awful that I truly couldn’t be bothered. I’ve honestly never seen so much bad on one show as I saw last week. 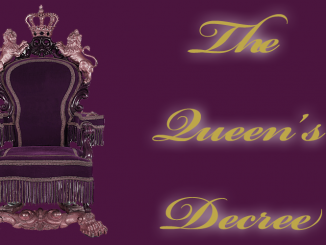 It would have been a blog full of badness and awful grades so I decided to take a pass and have a little fun instead. Thankfully, this week’s show was decidedly better so let’s get into this, shall we? This was decent. Baron is so much fun as acting Raw GM. He’s really come to life in his role as Constable. Now, as Raw GM, he’s even more fun. Braun and Roman have both been better on the mic but oh well. Paul Heyman came out (with the HIAC door…inspired!) and he did what neither Braun or Roman did. He told the story that needed to be told. Of course, they just weren’t scripted to do it because Paul can do it far better and he nailed this as he always did. Brock, as champion, made the company better and all was stupendously well until Roman became champ. Brock does everything he does for money and he wants back his avenue to more money. Nice story told by Paul, of course. Odd seeing them both out here with no backup which forces a very clean match. Both of these guys can work so this wasn’t going to be a bad match by any means. Drew, in particular, has improved by leaps and bounds since his return to WWE. He actually cares now and it manifests in both his ring and mic work. Drew sold really well here – never forgetting about the knee damage from Drew for the entire match. Drew was caught in the Tree of Woe and then came back up from it almost instantly and made Dean pay. Amazing strength. Dean is just such a fantastic storyteller. His face is so reactive and he can work his face off. They both did incredibly well here and the loss doesn’t hurt Ambrose in the least bit. Better yet, it’s nice to see a tag team champ not lose a singles match. WWE usually has no qualms about letting that happen and I’m glad it didn’t happen here. Baron is so completely conniving. In truth, he cares only about having fun with everyone. Nice bit of storytelling and we’ll now get Dolph vs. Seth. I’m all about that. Cool! A throw-up (I mean throwback) to the classic Divas segments we all love! This was just awful. Fairly quick segment but well-done. Seth was caught by surprise by his impending title defense and he’s gonna be a man and do it anyway. Was there any doubt. Okay, I will never disrespect The Undertaker. He has taken what is, on the surface, a truly awful Vince gimmick and turned it into the greatest gimmick in all of sports entertainment. Only he could have done that. I mean think about it: he’s dead. That’s it. McMahon came up with the gimmick of a guy who’s…dead. I won’t wax mark any further but the incredibly talented gentleman beneath the gimmick deserves a place on Mount Rushmore for making this monumentally absurd gimmick work as brilliantly as he has. He is absolutely one of the greatest to ever step into a wrestling ring. He just is. I’m going to leave it there. Let’s continue, shall we? They appear to be finished with Dana. That’s what it looks like to me. The dissolution of Titus Worldwide wasn’t even mentioned by the commentators and Bayley came away with the victory in a rather short match. Poor Dana. Cool, so the dreadfully corny Authors of Pain name is officially dead. I’m great with that. I also like Drake in his role as their manager. They badly needed a mouthpiece and now they’ve got one. They are rebooting them before any more damage is done too which is good. Barrett Brown has been all over the indies for years. He’s wrestled in the south largely for many promotions. The link to his YouTube channel where you can check out his matches is (here). Gregory James has been around since roughly 2015 – wrestling mostly in the south as well. Check out (this) match between James, Andy Dalton, and Barrett Brown. James has a really fun mic segment before the match starts that’s worth watching. He goes at it with a guy in the audience and wins handily. The match is good too so it’s definitely worth watching. Here, of course, Brown & James’ job is to…well…job. That means zero offense and they got none in here. They are here to be rag dolled and they were like others before them. Nice stuff here. Not lengthy but it didn’t need to be either. Rollins is ready. Dolph better be too. Both of these guys can tear it down but the added wrinkle is that they’re both damaged from last night which only makes this more fun. The storytelling here was masterful and they both worked hard as expected. In reality, how they went through with a match like this I will never know. I like Seth’s modified Curb Stomp. Instead of setting up for an eternity, this newest iteration can be hit out of nowhere. Much better. This match was intended for the diehards and I loved it. He’s not the underdog in his match tonight; he’s just the Big Dog. Good to know. He wasn’t very convincing here but it was quick so it didn’t hurt too much. Look, I know she’s having fun. She’s truly enjoying this. This is entertainment and, to that end, she’s somewhat getting it done. The name dropping was completely desperate though and she wasn’t believable. She never is and that’s always a problem. Couple that with being terrible in the ring and those of us who love wrestling know that this isn’t intended for us. This is all for the casual fan. The Riott Squad taking out Natalya was a nice swerve I didn’t see coming. Ruby is such a complete and total star. I can’t wait for her meaningful singles run. That Ronda has aligned with the Bellas is kinda perfect, really. Both entities exist for the casuals so it makes sense. MY MAN! Had to get that out of the way. Elias decided to play a little tonight. He’s not BB King but it wasn’t bad. Few troll an audience as effectively as Elias and he gave it to them here tonight. He was merciless and I loved it. I absolutely love Lio Rush and have for years. He’s gold on the mic. He’s completely and totally arrogant…and Elias ate him. Lio was unaffected and kept it moving really well. This turned into a match between Elias & Bobby Lashley with Lio on commentary. He did well there too, though not as well. That wasn’t totally his fault as Cole kept cutting him off by calling the match when he’d get on a roll. Kevin Owens came out during the match and we even got athleticism from him too. It’s pretty interesting that this entire segment was really about Lio. Given how small in stature he is, it’s interesting to see Vince make a segment almost completely about him. Lashley using Lio as a weapon was an absolute riot. Renee said “this might be my new favorite pairing” and I couldn’t agree more. This is going to be fun and I can’t wait to see where this goes. Alexa and Alicia were fun here. Mickie, while not old by any means, is a bit too mature for stuff like this. This makes sense coming from Alexa and Alicia, not Mickie. Ember Moon appears a bit lost at the moment and they don’t know what they want to do with her. She was the only one in this match without any real purpose. This isn’t NXT anymore so she’ll have to wait her turn, it appears. Ember can go (they all can) so this was certainly a decent match. Nia got the “hot tag” and this became even more fun. I loved Nia holding Mickie in position to take Ember’s Eclipse. Ember was the hometown girl tonight so that was nice. “Call it down the middle”…yeah, okay. Baron deliciously flexed his muscles here and what’s not to love about that. Ah, the storytelling. This was a decent match for sure but the best part was, of course, the storytelling. Corbin got frustrated because he couldn’t put Roman away and grabbed a chair. The ref “called it down the middle” and DQ’d Corbin. Corbin, in turn, restarted the match as a “no DQ” match so that he had another chance to win. The moment when he realized that he could do it was a riot. He’s drunk with power and it’s great. Of course, Roman put him away anyway. Given the scenario, Corbin could have continued to restart the match until he won but Roman couldn’t lose so they could only take that so far. This episode of “Raw” was so much better than last week. Thank you, WWE, for not letting us down horribly two weeks in a row. Let’s see what next week gets us. See you next week for another edition of “The Spot”. The Undertaker Backstage At This Weeks Smackdown!